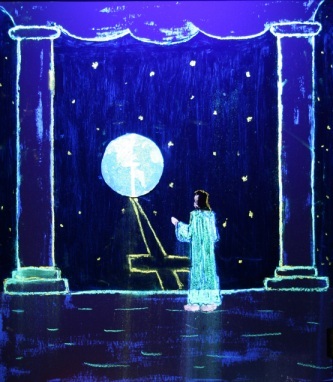 Picture Gallery of Crosses | Lift Jesus' Cross! Send me YOUR cross picture! Email a jpg picture to seehopeatcomcastdotnet. 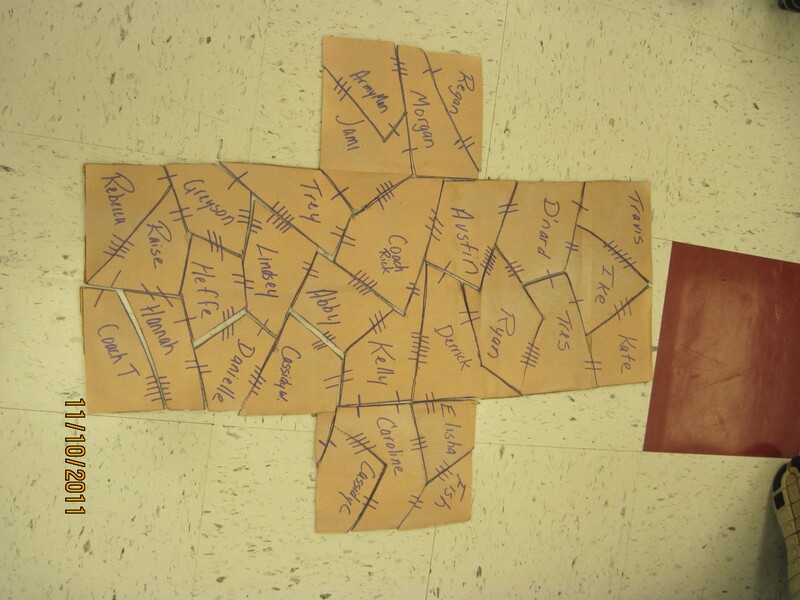 Rebecca’s class completes a cross puzzle. Is your name written on the cross? Is your name written in the Lamb’s Book of Life? 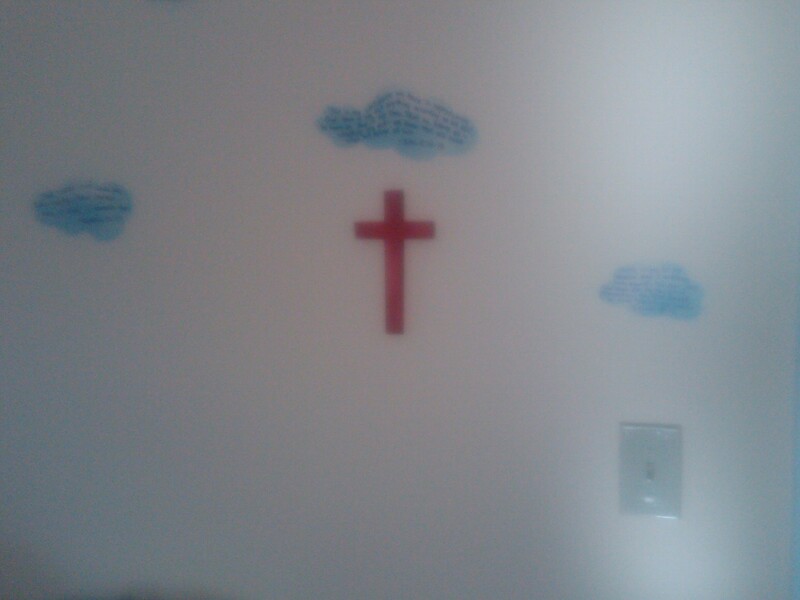 Sheree and her sons make crosses to hang on their doors! Sheree and her family lift up the cross at home! Jesus eliminated all of sins’ poisons when he died on the cross. Latinya lifts up the cross in her SMILE!!! 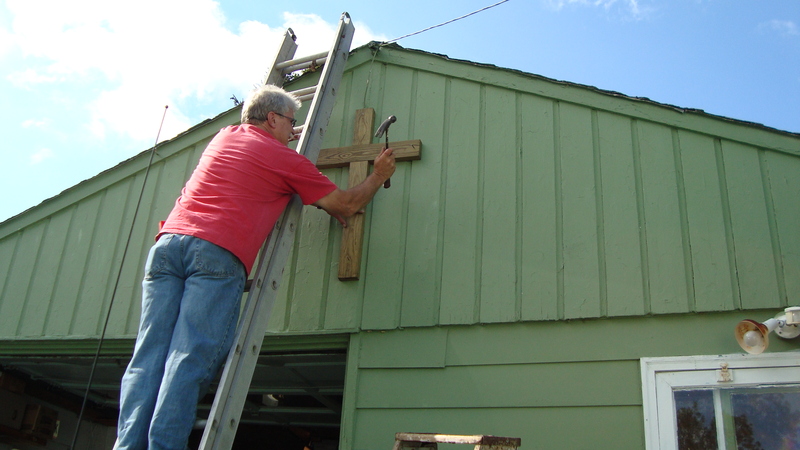 Jeff lifts the cross by sharing his heritage! Jeff’s ancestry dates back to Christians who were persecuted for their faith and fled to America. 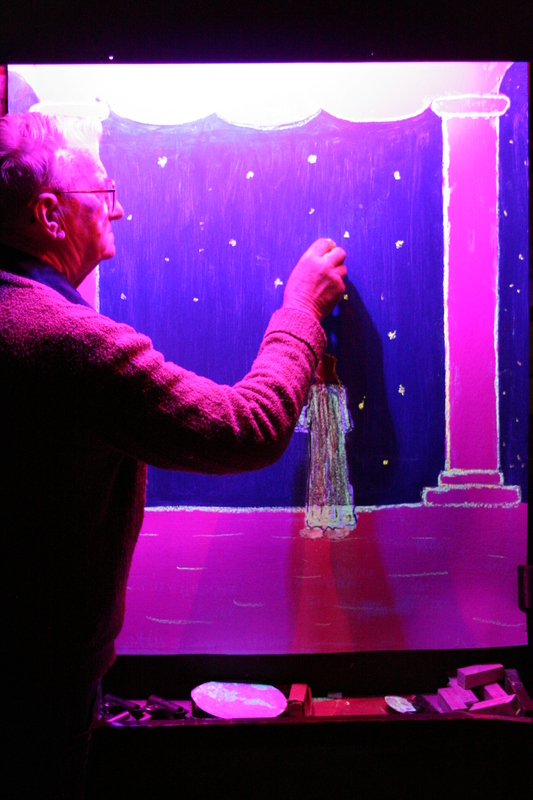 Rick lifts up the cross in his artwork! The very DNA of the human body displays the cross! “Before you were born, I knew you,” says God. 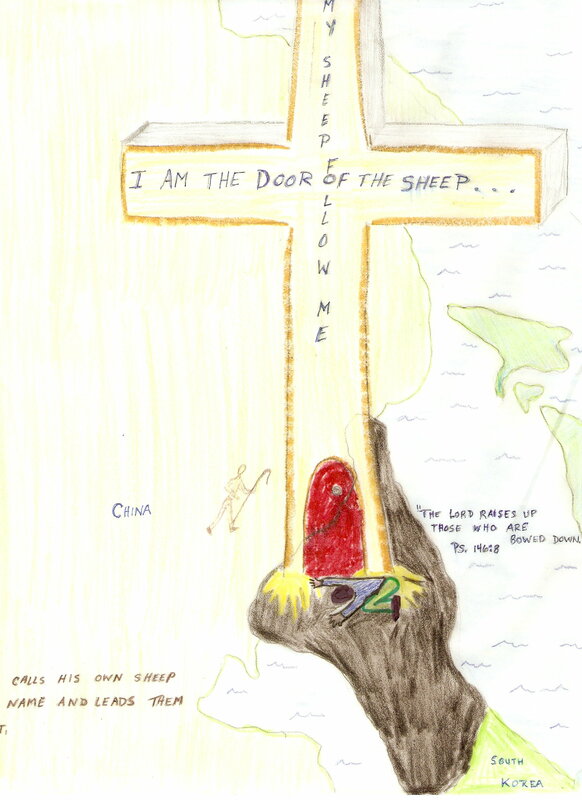 In less than three months after drawing this, he entered the portals of heaven through none other than the blessed cross of Jesus. If you want to ask Jesus in your heart, simply pray! Talk to Him–He’s listening even now where you are sitting. He hoped you’d see this page and want to receive Him. Need help? Here’s a prayer. Just pray it from your heart . . .
Great job, Hope!! May God pour out His blessings on all you do. 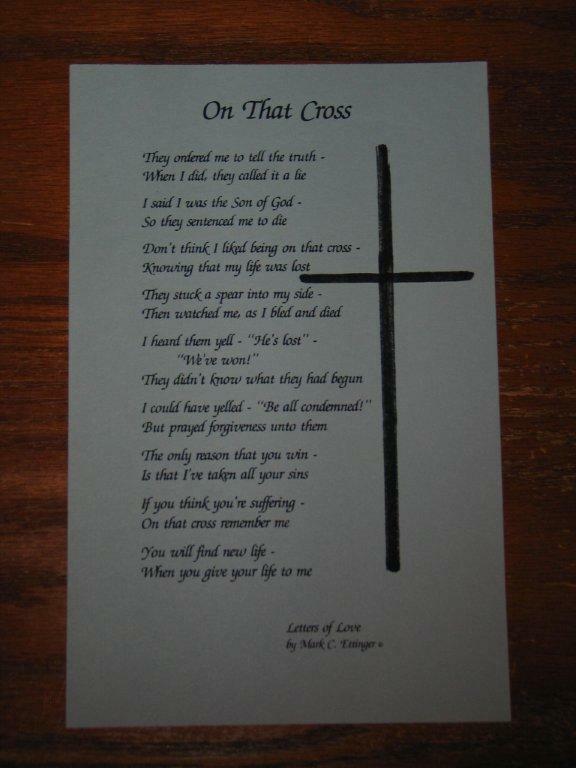 Thank you, Hope, for those five beautiful pictures of the cross and the even more beautiful story of your father who lifted up the cross in his life. As you know, my daughter, Janita, and I came to your house one morning when you shared with us your vision from Joel 3:14. Since then, Janita has returned to living in a Muslim country and wants to display the cross in a window of the eighth floor of her apartment. Does anyone know where we can purchase a cross window cling to send to her in a package? Thank you Hope for inspiring that desire in her to display the cross in this Muslim land. Also, thank you for your encouragement to her on that same day. You told us that to lift up the cross daily in our lives means to go to places that we would rather not go and do things we would rather not do. That was such a timely word for her since she was struggling about returning to live there. Julie, I was so glad for those few precious moments together with you and your Janita the week before her return. Friends, can anyone suggest where Julie can find a cross window cling for a missionary? Does anyone have any special prayer or scripture for Janita, a twenty-something missionary serving orphans in a Muslim nation? We value prayer, scripture, faith, and info on crosses! 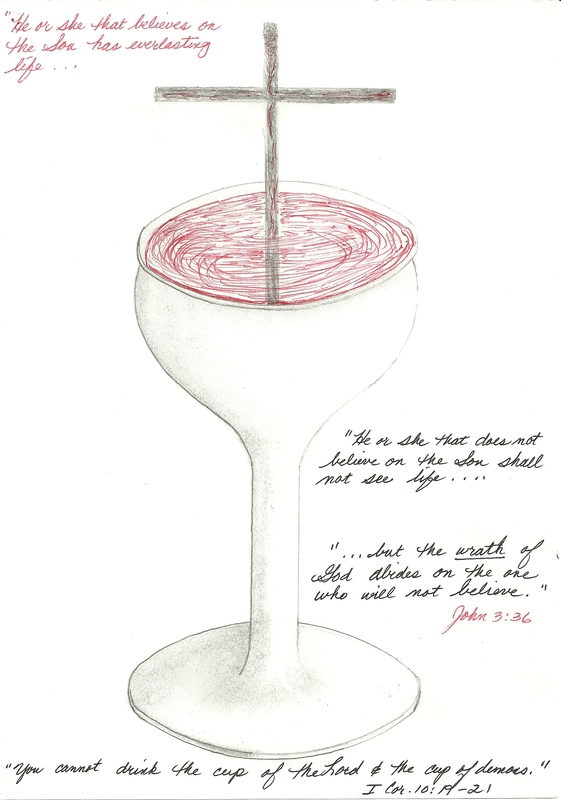 Julie (& everyone): Click back to the home page to see the picture of the cup of poison that Jesus drank for us. He was the ultimate cupbearer. Biblical Old Testament character, Nehemiah, was cupbearer for the king. He had to drink the wine or water before the king did, just to be sure no one was trying to kill the king by poisoning his drink. Jesus become to ultimate cupbearer when he drank our sin–it would have killed us, friends. He died instead. On the cross . . . and that’s why we’re here. Jo Ann, thanks for signing up and for commenting here. It’s a joy to pray with you! 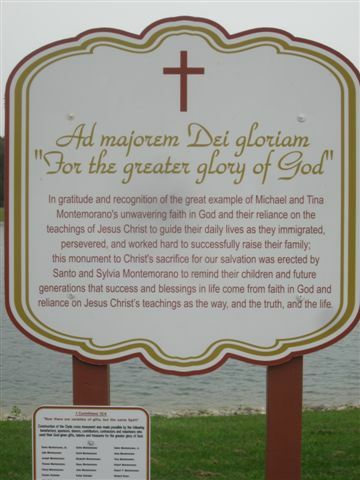 Now to post a new page on how to put up a cross billboard . . .
if you don’t like any of these google “Cross Window Clings” and you will find more. God bless! Cynthia, these are SO cool! I’ve never had anyone post this kind of research before on finding crosses. I may put this in our cross picture website page–when I get free time. Thank you for contributing this! I want one!